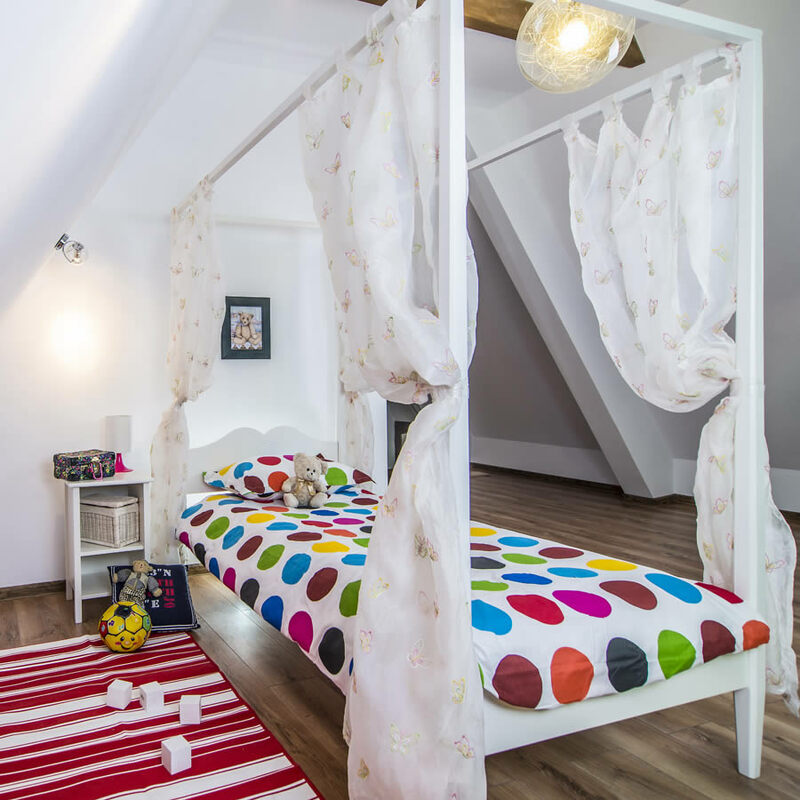 The Children's Furniture Company's Jemima Children's Four-Poster Bed is waiting to ensure that your little ones may enjoy a good night's sleep accompanied by their favourite curtain fabric and enhanced by the natural privacy and fun four-poster bed offers. This bed is built in the UK using quality materials such as real Beechwood, and a three coat painting system to provide a lasting and durable finish which is impervious to the effects of regular use by children. Manufactured by The Children's Furniture Company, the bed the frame dimensions are 102cm wide x 201cm high x 204cm deep, and the bed will fit a standard UK mattress. Shipping for this item is available within the mainland UK, and it will come flat-packed for optimum transportation to your home. Upon arrival, you will find the easy to follow instructions and all parts necessary within the packaging. 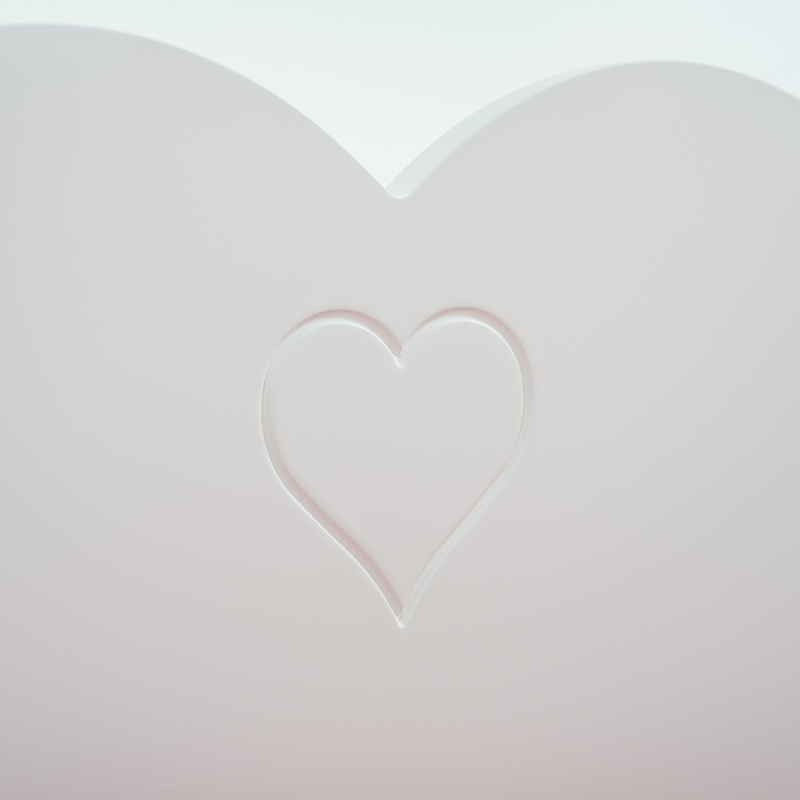 Little girls will love the hand-carved heart in the centre of the headboard. 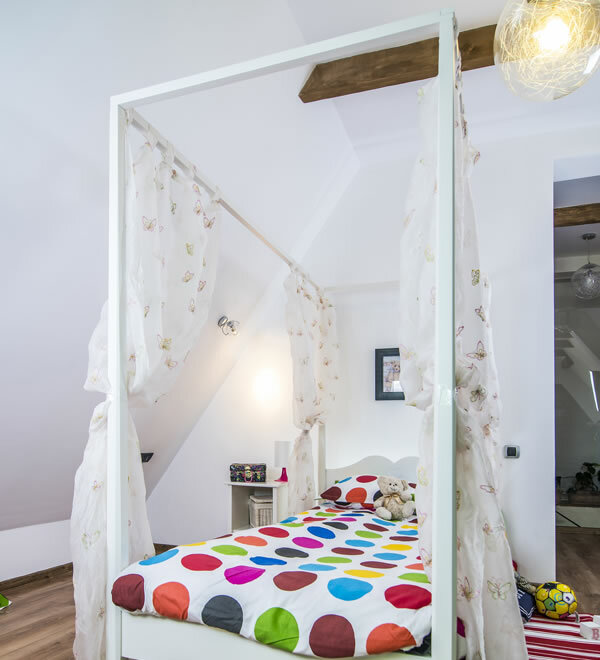 The Jemima Children's Furniture Company Four-Poster Bed is tall enough to hide an optional trundle bed for sleepovers, or the massive under bed storage drawer which is also available. This item is currently unavailable please contact us for more information prior to purchase.